AixiZ 5 pack 15x50mm Housing Blanks, total 5 sets of long housing part, short housing part, acrylic lens. 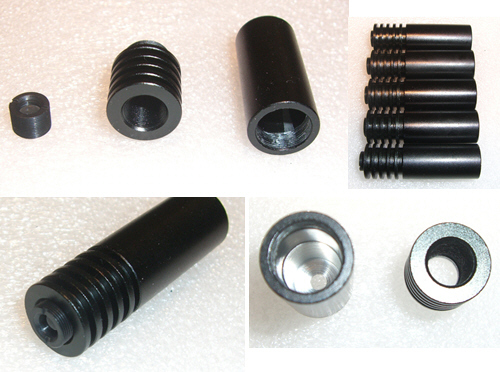 Matte black aluminum construction for larger size diodes. Accepts standard AixiZ 9mm lenses.